The soul of dynamic Wit (“Whatever It Takes”) Cellars is its founders: Flint Nelson, Carolina “Cat” Warwick and Gina Adams-Royer. LED BY A trio of longtime Yakima Valley winery veterans, Wit Cellars is as smart as its name suggests. Wit’s story begins during the 2015 harvest, after the three friends parted ways with Kestrel Vintners in Prosser. Flint Nelson, Carolina “Cat” Warwick and Gina Adams-Royer hatched a plan to start their own operation. By spring 2016, they had lined up high-quality grapes, located winemaking space and a Prosser tasting room, borrowed equipment and opened their doors. The response from critics and consumers has been strong, thanks to stellar wines crafted by Nelson and Warwick. Wit Cellars wines can be purchased at the Woodinville tasting room (19501 144th Ave. N.E., Woodinville). Wit Cellars 2016 chardonnay, Ancient Lakes of Columbia Valley, $22: This opens with aromas of flinty minerality and a faint hint of sea breeze, followed by bold flavors of gooseberry, fresh herbs and just a hint of pineapple and star fruit. A perfect wine to pair with seafood, such as oysters or scallops. Wit Cellars 2016 riesling, Ancient Lakes of Columbia Valley, $18: Aromas of mint and spices from a North African bazaar provide the allure, leading to steely, minerally flavors of green apple, Asian pear and just a hint of fresh nectarine on the finish. Combined, they coax you to indulge in a second sip. Wit Cellars 2014 Northridge Vineyard malbec, Wahluke Slope, $45: Blackberry, plum and black pepper set you up for flavors of dark chocolate, boysenberry syrup and black cherries, leading to a long, succulent finish. With the wines selling quickly, the partners have expanded Wit Cellars with the addition of a Woodinville tasting room. With Nelson as winemaker, this shouldn’t be surprising. 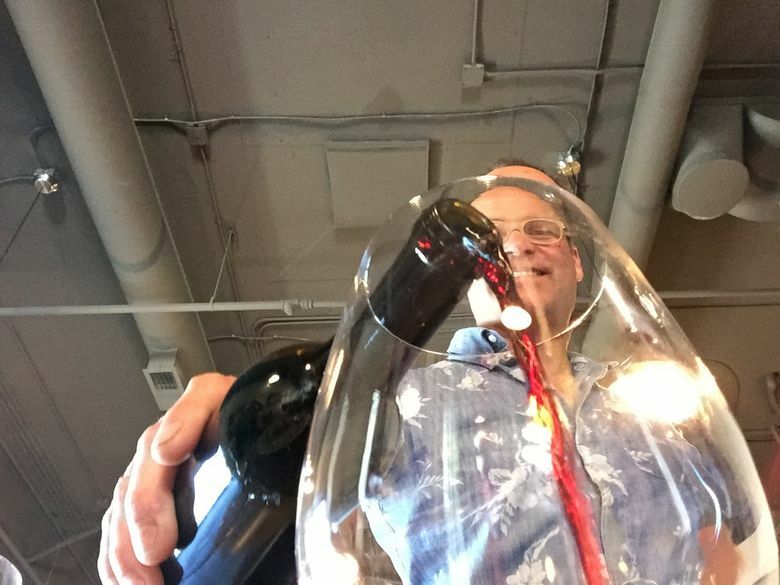 After graduating from Washington State University, he went to work for Columbia Crest before landing at Hogue Cellars, Apex Cellars (where he worked with the acclaimed Brian Carter), then at Kestrel for six vintages. He does a little consulting here and there and teaches at Yakima Valley Community College in Grandview. He’s also married to Katie Nelson, a winemaker for Charles Smith Wines. Wit — an acronym for “Whatever It Takes” — thrives from the energy of the winery’s founders and their ability to find grapes from notable vineyards, including Elephant Mountain, Northridge and Evergreen. The resulting wines reveal purity of fruit and a sense of place. With a single post on Facebook, they signed up 50 wine-club members, who plunked down credit cards before even a single drop of wine had been bottled. Their latest round of releases includes eight wines, with styles to match every palate. If you’re heading to the Yakima Valley for barrel tasting weekend April 27-29, put Wit Cellars on your itinerary to experience one of most dynamic wineries in the valley.